This post has been written as part of Let’s Go’s partnership with the United Nations Outreach Division. Smile for the camera? maybe save the selfie stick and the goofy grin for the picturesque Long Island city skyline in the background. The memorial is gorgeous, but there’s a time and a place for everything. Head to the United Nations Plaza in midtown Manhattan to see the Ark of Return, a permanent memorial to honor the victims of slavery and the Transatlantic Slave Trade. After the United Nations General Assembly agreed to erect the memorial in 2007, they, with UNESCO, held a design contest. Haitian American architect Rodney Leon won with his design for the Ark, whose three inscriptions (listed below) challenge visitors to grapple with one of American history’s greatest tragedies. It’s impossible to look at the memorial without being overwhelmed by the sheer amount of triangles, which represent the system of Triangle Trade, spurred by American and European demands for raw materials from the Americas (including the West Indies). The trade involved sending people from West Africa to the Americas (this route is called the Middle Passage). where they harvested the raw materials under exploitative, extreme, and inhumane conditions. The materials then sent to Europe, where they became manufactured goods, which were then sent to Africa largely in exchange for more enslaved people. 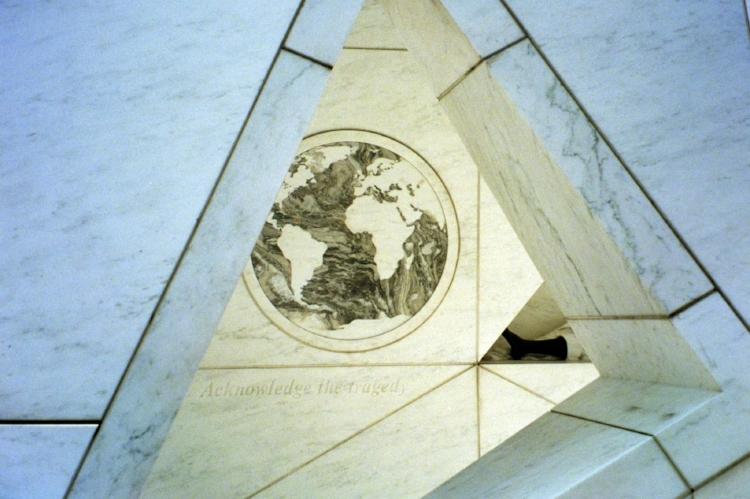 A map inside the memorial also documents the system, while the white marble represents mourning and the reflecting pools encourage visitors to meditate on what they have learned. Leon and the United Nations call on visitors to consider the legacy of slavery: intergenerational trauma within the descendants of enslaved people, along with institutional racism in our society. We often forget that this country endured 250 years of slavery, and it has only been about 150 years since slavery was abolished. While it’s important to remember how slavery has encoded itself into how our country works, we should also consider the extent to which slave labor is responsible for the United States’ wealth and dominance as a world power. Finally, the monument calls on visitors to remember the tragedies of slavery, which are still, to some extent, alive and well in modern society. Beyond modern manifestations of the tragedy, the memorial serves to honor the victims who lost their lives and livelihoods to the institution. SIDE NOTE: NOT JUST A SOUTHERN PROBLEM. You may be wondering why (or, if) it makes sense to memorialize the victims of slavery in New York City, when we so often associate slavery with the American South and the Caribbean. While New York City often likes to advertise itself as a champion of progressive values, the Conspiracy of 1741 serves as a reality check: NYC was just as embroiled in the institution of slavery as the rest of the country. In 1741, Manhattan had the second biggest population of slaves out of the 13 colonies, after Charleston, South Carolina. That year, 14 fires erupted around Lower Manhattan in two months, and a slave had been arrested after he was caught fleeing the scene of a warehouse fire that April. (Note: There was no proof he had anything to do with the fire. For all we know, he was a human being who, imbued with survival instincts, didn’t want to hang out in a building being burnt to the ground.) When an Irish indentured servant was arrested for theft, she pointed her finger at an alleged conspiracy of poor whites and blacks to burn down Manhattan, kill white men, and take white women for themselves. She thus inspired a “witch hunt” that resulted in over 100 people (mostly slaves and freed black people) being lynched, exiled, and burned at the stake. This was not the only event of its kind: another example is New York’s Slave Revolt of 1712. We’ll get this out of the way: Chicago, the 2002 Renee Zellweger-Catherine Zeta-Jones Jazz Age musical, was shot in Toronto, Canada. (The betrayal!) Still, cinephiles can find some comfort in the fact that the Second City has served as the primary backdrop to plenty of movies. Here, a day trip through some of the city’s starring moments on the silver screen. The best Chicago movie of all time, or the best Chicago movie of all time? 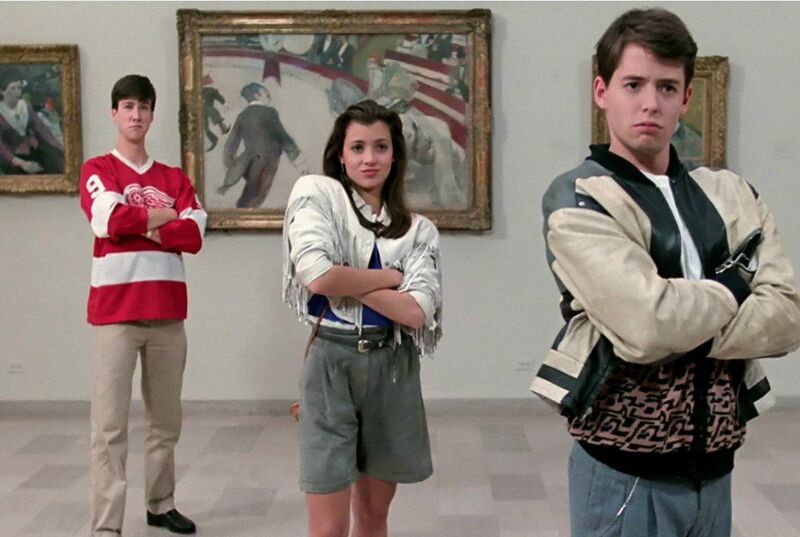 John Hughes’s classic ode to playing hooky was shot all over the city, but one of the best-known scenes had the three delinquents following around a school group at the city’s best art museum. Grab two friends (or willing strangers) for that iconic gallery pose. One of the darker scenes in a very dark movie was shot at this old-school rib joint, where Two-Face—aka Harvey Dent, aka our collective childhood nightmare—shot Detective Wuertz. Pay tribute with the $17 half slab. One of the less-dreadful Hunger Games rip-offs, Divergent—set in post-apocalyptic Chicago—features the Sears Willis Tower as “The Hub,” the city center where the children are sorted into their life-determining factions. You can pay a bunch of money to go up to the observation deck, but the employees up there definitely frown upon any Dauntless-level building scaling. In love with your best friend? Need to confess your feelings before it’s too late? Union Station set the stage for Julia Roberts and Dermot Mulroney in this 1997 rom-com-dram gem—the dramatic arched ceilings and pew-like seats are perfect for cinematic declarations. This 1980 cult classic memorably saw the Illinois Nazis chase John Belushi and Dan Ackroyd to 1060 West Addison, aka the home of the Cubs. Catch an evening game at one of baseball’s most historic stadiums (fedora neither included nor recommended). This understated, overlooked flick is set in Avondale’s Revolution Brewery, an industrial taproom that makes killer America-themed ales. Try the Freedom of Speach sour and keep an eye out for a plaid-shirted hipster to fall boozily in love with. 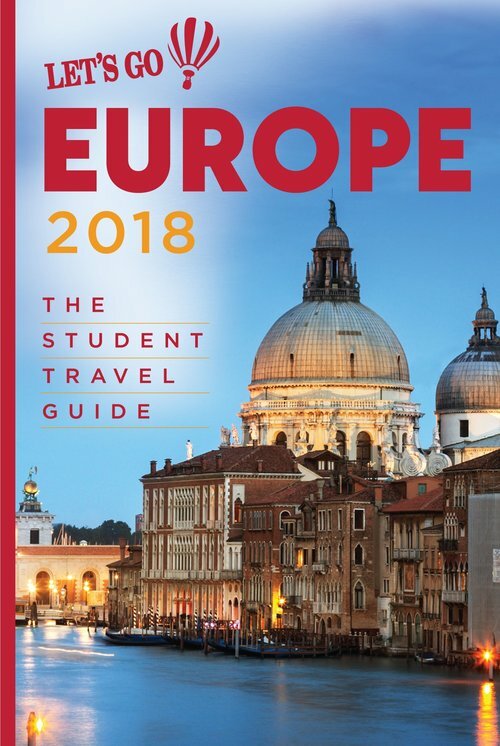 Sparch (v): to sit by the Spanish Arch in Galway on a sunny day, sometimes illegally drinking wine or beer, and enjoying the warmth. Apparently, day drinking is an international language. Throughout my first few days in Galway, the sun shone brightly, warming the whole city and awakening it from its slumber. Like birds migrating back north, warm weather draws throngs of people to the Spanish Arch, to sparch. After a meal with a friend, not yet ready to part ways, we meander to the River Corrib, watching the people sit in the grass and live. We sit by the Spanish Arch, moving past groups of people to perch by the edge of the jutting peninsula of grass that parallels the street with the wall. The sun sets late in the north— 8:50pm. It’s golden hour. My friend’s face glows, illuminated. Light brown eyes, seemingly lit from the inside, turn into pools of melted amber. The whole city is tinged pale pink, a rose gold that softens the edges of buildings, shimmering softly. The river blends into the sky, with soft ripples mirroring the wispy clouds above the “long walk,” the grey, blue, pink houses and one small red house waving hello. It’s like the small and stout white houses that extend past the arch were in school during the day, then shed their uniforms when they got home, revealing their internal colors. Each house could be the same, yet variations on a common theme, like Lego pieces—they’re each different colors and different heights, but they fit together to make the little street that we watch light up in the sun. We can just barely see the reflection of the houses on the water, as the color of the sky shifts from fully blue to a watercolor pink. When we arrived the grassy area was full. Yet in our hour-long conversation, throngs of more people fit into the cracks, the way honey fills in the spaces between the comb. The once-rigid circles of friends merge as the wine and beer flow. We don’t drink, but we observe. The groups that merge a little bit as a Czech woman asks a German man for a light. The techno music from the circle of backpackers on our left forms a skewed mash-up with the drum and bass pulsating from the Irish schoolboy’s speakers. The DJ’s splice is just a few seconds off, but the rest of the sound somehow still works. The music sets the backdrop for the conversations that I can’t understand, multiple languages bouncing around us. When sparching, societal laws briefly recede. Jovial drunk men relieve themselves into the river, laughing, their public actions somehow accepted. There’s an unwritten sense of community here. Legally, no one is allowed to consume alcohol outside. But if hundreds of people do, they can’t possibly be all arrested, so goes the thought process. The slightest touch of naughtiness colors every interaction. Everyone’s in on the secret. Should we all be doing something more productive? Perhaps. But the idyllic scene sprawls. Laughter. People embracing the warmth, embracing freedom from school, from work, embracing the outdoors and human company. Rose gold sun melts had shells and everyone’s joy pools together. I never want the conversation or the moment to end. The magic of the sparch cast me under its spell. Joseph at Gaztelugatxe, an islet of the coast of Biscay in Basque country! 1. Instant coffee is sort of good. 2. You’re getting to know the folks haunting the TripAdvisor forum page. Actually, you’re haunting this rabbit hole of numbskull nomads, anonymous animosity, and patronizing pilgrims. Even so, cookiemamaWinchester doesn’t seem to have posted anything on paying the ALSA bus company with an international credit card within the past 11 years. It’s chill, though, because foxy1454 says you can just do it with PayPal. 3. Your consideration for others has declined precipitously. Tiptoeing to your bunk at 1am? Zipping your backpack at snail speed? That was the old you. Sorry, sleepers, I’m crashing through this hostel dorm whether you like it or not. Good thing you’ll never see these people again (until a posse from your hostel in Lagos rolls through your Lisbon crash pad, throwing you a few vitriolic glares and whispering among themselves). 4. Why limit yourself to “free breakfast” when it could be so much more? 5. €7 to wash only? Ludicrous. That one hostel in the Algarve (five weeks ago) had laundry for €4—wash and dry. You’ve been wearing your last clean shirt for the past six days, but that’s okay; you’ve got enough deodorant to last at least another month. Best to slather it onto your underarms and wait for the next hostel. Or the one after that. 6. You catch yourself nearly darting through museums. 7. Instead of constantly converting between the euro and the dollar, you’ve learned that €1.5 = one cup of coffee. Since €1.55 equals one metro ride, a there-and-back trip is like not drinking two whole cups of coffee. As a result, you find yourself walking obscene distances between famous monuments, which is invigorating but time-consuming. In fact, you spend so much time walking around that you forget to drink your two cups of coffee at all. Backpacking is a unique kind of travel. While the allure of city-hopping and taking little with you is real, it also comes with its own challenges, which are all part of the adventure. These tips might help keep challenges from becoming major derailments to enjoying your trip. 1. Always carry a paper map. There will come a time when your phone is dead and you have no clue where you are. A paper map—even the free ones handed out at tourism offices—can really be a saving grace when trying to navigate yourself back to familiar ground. 2. Get a public transit fare card as soon as you get to a city. City buses often want exact change and that gets real old real fast. Plus, fares are often cheaper if you use a reloadable fare card to pay. Find a transit station and load some money onto a card. You’ll thank yourself. 3. Bring a mobile charger and charge it. If you are taking pictures on your phone or posting Snapchat or Instagram stories during your day, your battery is going to take a hit. Have a mobile charger—they’re pretty cheap these days—and charge it every night! 4. Take bathroom breaks when you can. One of the hardest things to do in the middle of a city can be to find a place to pee. Restaurants and coffee shops are getting stingier with who they’re letting into their bathrooms, so you might be bounced from a few places when you ask if you can use their throne. So, when you have a bathroom available, use it, even when you don’t really have to go that badly. You will thank yourself. 5. Paper weighs a lot. Paper handouts, flyers, maps, and tickets that you might shove in some random pouch actually can start adding some serious weight to your bag, and in turn, your shoulders. Ask yourself if you really need to keep something. If you think it will be sentimental, take a picture of it. Sometimes that can be just as good. 6. If you’re staying in a hostel, get the bottom bunk. Grab that bottom bunk before anyone else does. It’s just better not to have to climb a ladder to get in bed, especially when the person on the bottom bunk might be asleep. 7. Hostels are a lot less lonely than AirBnbs. If loneliness is a concern for you, take it as a factor when considering whether to book a shared room in a hostel or a private one, perhaps in an AirBnb. Even if you don’t talk to anyone, just having people around you can make a big difference. 8. The bus can take you a lot of places. A spot might seem far off on the map, and you’re about to open up that Uber app. Hold up. Check if the bus goes there. City bus routes are often more extensive and useful than you think, and can get you there at a fraction of the cost than a taxi, Uber, or Lyft. Google Maps search generally has a great knowledge of the local bus routes and can guide you on taking the bus in what is probably an unfamiliar place. 9. Just sitting for a little bit to recharge is important. If you are packing a lot into your days, it’s easy to run around and tire yourself out. Find time to just sit somewhere, a park or a café, and just be with your thoughts for a little bit. It goes a long way. The view from Griffith Observatory. Let’s face it. 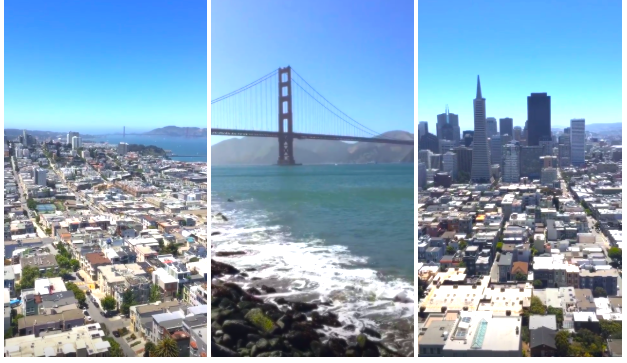 Instagram is a major part of travel culture these days. If you need some fly photos, we’ve got you covered. Hit these spots, serve the looks, and get some likes. Let’s go! Santa Monica’s iconic pier, boasting a red and yellow ferris wheel against the baby blue backdrop of the Pacific Ocean, makes for a beautiful beachfront landscape. Even better: Your followers will love it. At night, the water reflects the illuminated ferris wheel. The waves shimmer with the lights of the shops lining the pier. Snap a pic of the LA cityscape as the sun sets behind the Hollywood Sign, leaving behind city lights that actually twinkle like glitter. So many views from the observatory are incredible, yet the building itself, with its Greek and Art Deco architectural influences, shimmering white exterior, and copper domes, is nothing short of majestic. It’s a photographer's wonderland here, whether you’re after pictures of the LA cityscape, the Hollywood Sign, or the observatory itself. Get past the crowds to get a good spot and snap away. A grilled cheese that oozes a rainbow when you pull it apart? A milkshake topped with fruit loops? This desert heaven is a foodstagram paradise. Cotton candy burritos are a sure fire double tap magnet, and the cool plant wall is a great backdrop. You, fawning over your favorite actor’s star on the Walk of Fame. Or you, crouching down next to their handprints at TCL Chinese Theater. The Hollywood allure on its most famous street is sure to wow the fans in any photo. Low angle does the trick. With blue walls, big stone pillars, and tunnels and sculptures made entirely out of books, this store is one giant photo op waiting to go on your feed. Sculptures of books don’t just look cool for the gram—they make you look like an intelligent literature buff. Awaken those sapiosexual followers! They’ll be double tapping on your photo and double tapping on your door, too. Someone will slide into your DMs, guaranteed. If you’re going to be terrible at baseball—and the Marlins are indisputably terrible at baseball—you have to give fans another reason to stick around. The Marlins haven’t found it, though, judging by the empty rows at one recent Friday night game; the Fish couldn’t even fill a quarter of the seats, and it seemed that at least half the attendees were there to cheer for the opposing team. That may be because the sterile new Marlins stadium is an unsuccessful marriage between a nightclub and a ballpark. A spiky-haired DJ flanked by two listless implores the crowd to “GET LOUD, MIAMI!” at seemingly random intervals to little avail; the energy in the park rarely rises above a mild hum. The team’s official anthem is “Just Gettin’ Started” by DJ Khaled, a hookless non-bop that becomes deeply sad when played towards the end of a losing game. On top of it all, the team’s CEO is baseball villain No. 1 Derek Jeter, who’s slashed payrolls, traded the team’s best players, and ostracized the Marlins Man, the franchise’s best-known fan. Don’t play yourself—find a better team. Everyone loves an underdog, and no team is more of an underdog than the Miami Marlins, currently the losing-est team in the National League. There’s a special sort of freedom that comes with being at the bottom: no high expectations to live up to, no pristine record to maintain, nothing to prove and everything to gain. When your team stinks and the whole city knows it, Miami gets to do what Miami does best—have a good time. When the Marlins Mermaids come out with their goofy little drumline, there’s a certain joyous nihilism in it all: abandon all hope of winning, ye who enter here, and gaze upon Miami’s finest export—beautiful people. The suckiness of the Marlins has winnowed the attendees to only the hardest-core fans, all the better to get swept up the fishtivities. And when the boys in orange do hit a (shocking!) home run, baseball’s gaudiest and only seven-story sculpture comes to neon-colored life, the animatronic marlins whirring in the outfield as a gush of water spurts up behind it. It’s Miami in a nutshell: a little indulgent, a lot exuberant, and never not fun. Joseph at Castelo de São Jorge in Lisbon, Portugal. Thou shalt not unreasonably punish thine clients with squeaky beds. They careth naught for the demonic creaks of this rotten slumber device, and yearneth only to hit the sack after a 16-hour international flight. The irksome racket of the beds shall prevent them from befriending the other guests in the morning. Thou shalt not christen bread and Nutella “free breakfast”. This is not breakfast. Thine guests are not infidels. “Breakfast included” shall betoken toast of the French varietal, cakes of the pan, juice of the orange, or at least a little yogurt. Furthermore, free coffee at all hours is requisite. Thou shalt provide towels free of charge. See Luke 10:25-37. €2 for a towel is derisible, behavior expectable only of a nullifidian, paynim, or succubus. Thou shalt saturate thine chambers with power outlets, lest your guests’ phones die during the night, begetting missed flights and trains. Or worse, begetting mayhem in the guests’ quarters as eight weary migrants cross swords over a single outlet. Thou shalt inundate the hostel’s lodgings with with plenteous lockers of commodious size. Those providing itty-bitty cubbies shall be met with vigorous hellfire. Thou shalt not live in thine hostel, nor shalt thine receptionists. You must treat thine neighbor as thyself, but first you must make thine hostel guests thine neighbors, not thine housemates. Thine friends are not invited to watch the game within the hostel common room and not invited to prepare shakshuka in the community kitchen. Thou shalt stock the kitchen with salt of the sea and oil of the olive, as well as enough specialty spices to make a divine Thai curry from scratch. Just oregano does not count. It is but an impossibility to do anything creative with the leaf of the oregano, the worthless weed of the herbivory world. Thou shalt not pronounce “24 hour reception” if thine body—or the body of a hireling—is not physically at reception for 24 hours. Thou shalt not leave a sticker on the counter with thine WhatsApp number and then feel wrathsome when guests call at daybreak with questions about their early checkout. Although typically overshadowed by neighboring cities such as Amsterdam, Delft and The Hague, this small Dutch municipality can stand on its own two feet. Home to the oldest university in Holland and to a charming network of canals, Leiden is a postcard-worthy city ideal for a day trip or even a longer stay. If you look at any city map (either those available in hotels or the ones on signs scattered throughout the town), you’ll see a suggested route marked in red. If you follow it, you’ll pass by the city’s most picturesque spots, including beautiful brick churches and two traditional Dutch windmills. Though its influence is not commonly found in other countries, because Indonesia was formerly a Dutch colony, its cuisine definitely has a large presence in Dutch life. The best place to try a wide array of rice dishes, meats, and vegetables is at Bungamas: centrally located, it’s great for both takeaway and eating in. Experience the famous Dutch tulip in the place where it was first planted: Leiden University's Botanical Garden. A walk among the carefully tended rows of plants is a must for any nature lover and a much-needed respite from stuffy museums. Dutch pancakes are more similar to crepes, and the options for fillings are endless. You can choose from a lemon squeeze, butter, powdered sugar, and even whipped cream and fresh fruit. What never varies, though, is the size: they are typically the size of the large dinner plate they come on. Head to Oudt Leyden, near the central train station, for an authentic pancake experience. Early on a warm evening, you can see the terraces—often on rafts moored next to the bar—fill up with locals going for post-work drinks. That’s probably the best part of Leiden: no loud, marauding tourists, just regular people going about their day. Of course, just like in Amsterdam, they won’t hesitate to run you over with their bikes. Travel isn't always pretty. It isn't always comfortable. Sometimes it hurts, it even breaks your heart. But that's okay. Austin explains how nightlife in Seville resembles a Shakespeare play. Joseph takes you through the Capela dos Ossos, or Chapel of Bones. Read about Graham’s night biking adventures in Seattle! Today’s Tompkins Square Park looks nothing like the Tompkins of the past, notorious for its syringes, punks, and the cardboard box where neo-expressionist Jean-Michel Basquiat used to sleep. Ray’s Candy Store, however, hasn’t changed since 1974. For over 40 years, Ray’s has served up classics, like fried oreos, beignets, hot dogs, and malt milkshakes—but no candy, believe it or not. Upon entering Ray’s Candy Store today, you’ll be greeted by the somehow comforting stench of grease, and the octogenarian store owner, Ray Alvarez. Ray, originally Ashgar Ghahraman, entered the US from Iran in the 1950s and posed as Ray in order to hide his undocumented status. Although Ghahraman is now a naturalized American citizen, Ray will stick around as long as his namesake continues to feed Alphabet City. Enjoy the gigantic portions of greasy, sugary food in one of Tompkins’ lush meadows across the street. Try the strawberry and pistachio frozen yogurt in a wafer cone with rainbow sprinkles. It’s way too big and way too artificial in all the best ways. Soft Swerve’s fame extends far beyond the Lower East Side—tourists and locals alike line up to try the iconic ube ice cream. Ube purple yam (very similar to taro) is often used to flavor Asian deserts. If you’re suspicious of potato ice cream, don’t be so quick to judge. Ube tastes like a gently nutty vanilla. It’s simultaneously familiar and exotic, which is probably what makes it so appealing. In addition to ube, Soft Swerve serves less popular, but equally delicious flavors, like almond cookie, black sesame, and matcha green tea. The store pays homage to its New Yorker heritage with NYC-themed sundaes—from the Woodside (named after the Queens neighborhood) to the Division Street (named after the Chinatown street). Get the ube purple yam and almond cookie swirl in a black chocolate cone with marshmallows. They use crunchy Lucky Charms-type marshmallows to contrast the smoothness of the soft serve ice cream. Brooklyn’s Carroll Gardens neighborhood feels like home, no matter where you’re from. While slurping down your old-fashioned New York egg cream at the family-run Brooklyn Farmacy & Soda Fountain, you’ll be surrounded by families from near and far—older generations reminisce about the days of poodle skirts and nickel buys, while young kids discover the beauty of malted milkshakes. Although Brooklyn Farmacy stays true to the 1920s apothecary it’s housed in, it updates these vintage classics with creativity and 21st century portions. Just be prepared to pay the 21st century prices. Sip on the Pink Poodle ice cream float, a scoop of ice cream melting into bright magenta hibiscus soda. Stationed blocks away from the iconic Jing Fong Restaurant, Chinatown Ice Cream Factory has established itself as a mandatory post-dim sum treat. This family-run “unofficial NYC landmark” is one of Chinatown’s oldest businesses, open since 1978. Chinatown Ice Cream Factory may look like any other ice cream parlor with its glass display of multicolored ice creams. However, this display spans the length of the store: there really is something for everyone. If you want, you can get vanilla or chocolate, but classic Asian flavors are this store’s speciality. Don’t miss these unique flavors: zen butter, an overwhelmingly nutty sesame and peanut butter blend, and pandan, a fluorescent green Malaysian leaf that tastes like taro. Rockaway Beach used to be an unpretentious summer destination for New Yorkers, but the hipsterification of Riis Park and Fort Tilden has left much of the area obnoxious and overpriced. If you find yourself in need of unflashy icy refreshment after spending the day getting knocked around by Rockaway’s rough waves, walk down to Beach 94th Street for some good, old fashioned Italian ice with a fun twist. You could always just buy from the lady who pushes her cart along the beach, ringing her bell to announce her arrival, but she offers the same flavors you’ll find on every street corner: cherry, mango, coconut, rainbow, and maybe lemon-lime, if you’re lucky. Meanwhile, Uncle Louie G’s boasts almost 100 flavors. Stick around for the punny (and often accidentally euphemistic) flavor names. Try one of these aggressively New York flavors: Holi Cannoli, Rainbow Cookie, Coney Island Cotton Candy, FDNY Red, or NYPD Blue. Though, beware, the ices inspired by Italian desserts are quite chunky.